Surrey Hills PC specialises in providing Small Business IT services. 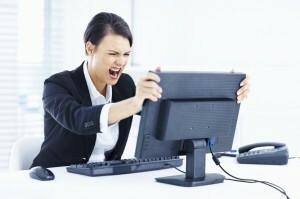 Most computer support providers will charge an on-going maintenance fee, prefer to access your systems remotely, rarely come to site, and throw their junior staff at you for 'on the job' training. This where Surrey Hills PC is different. I only support local small businesses who are close enough that I can come to site, but I also offer remote access for swift response. I don't charge an on-going fee, but instead only charge on a time and materials basis. Consequently my clients get the best in terms of quality of service and value for money. If you are unhappy with your existing computer service supplier (due to price or quality of service), or are setting up a new business with an IT service requirement, then get in touch to see how I can help.